This is the third and final build of a Sokol named starship, from my Star Saga novels. The GA Sokol was designed and built just after the Great War in the Starveyors Era. So this is the first post-war starship design. It still looks very much like the wartime starships, but it has fewer main guns and smaller drives. The first thing I built for this scratch built model is its mount. 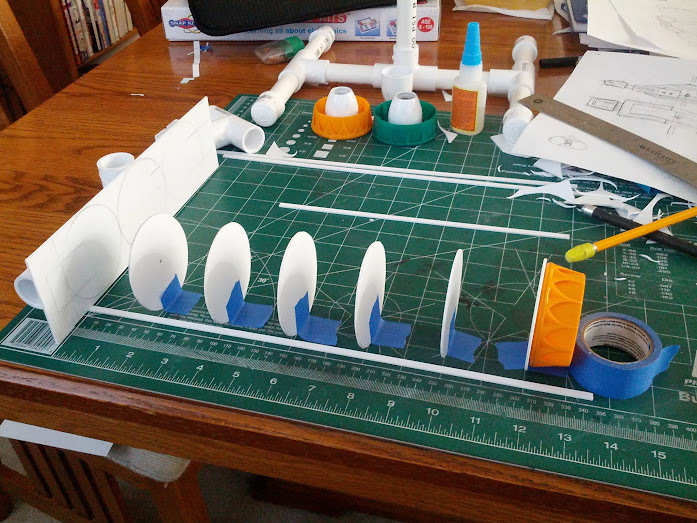 I used 1/2 inch PVC from the local hardware store. I also decided that I would only have four mounts. Top/Bottom and both sides. This is done with a four way adapter and some spacers. 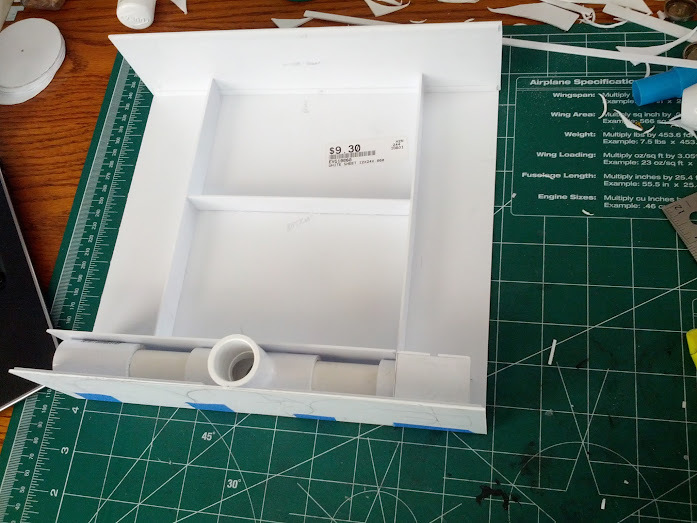 I started by making the central bulkhead where the PVC mounts will be attached. I used Gorilla Glue to secure it to the plastic. Then I just proceeded to build up the floor of the main superstructure around the mounting system. This shows the progress I made in the first day. The mount is about in the middle of the whole model, for balance purposes. Maintaining a rigid superstructure will be paramount as this is also where the pass through flight deck will be and all my electronics. This area is less thought out right now. 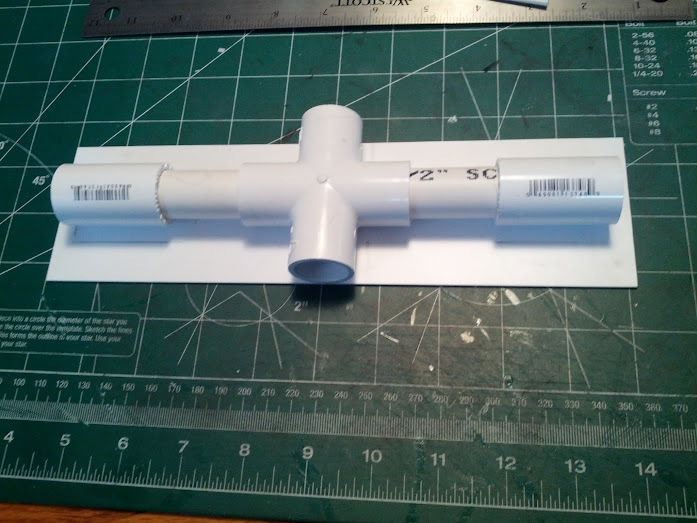 I originally was going to build up two separate tubes using plank on bulkhead construction. 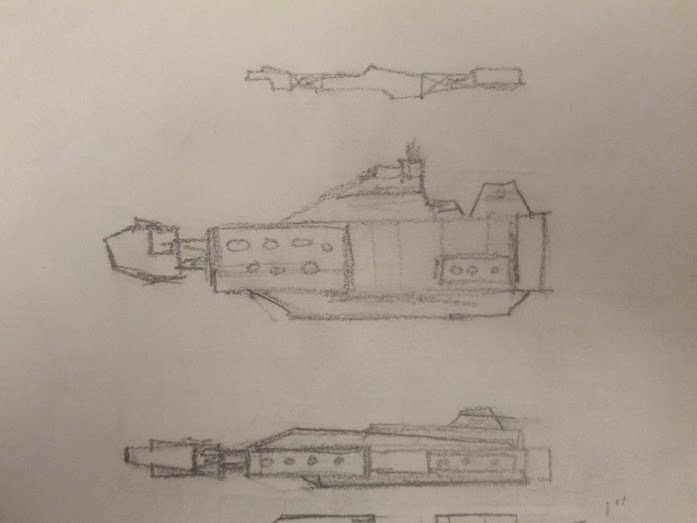 Now I’m leaning towards building the bulkheads of all three engines as single panels. It will all make more sense when I actually build them and show you next time. I’ve started a spreadsheet that will track hours worked, costs and parts used. I hope to have a very accurate picture of what it takes to build these starships when I’m done with this one. 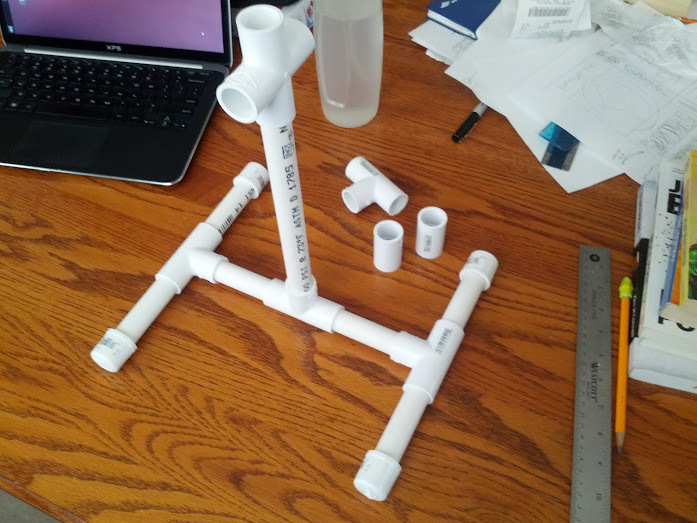 To this point: 5 hours, $27.91 in plastic and PVC parts.